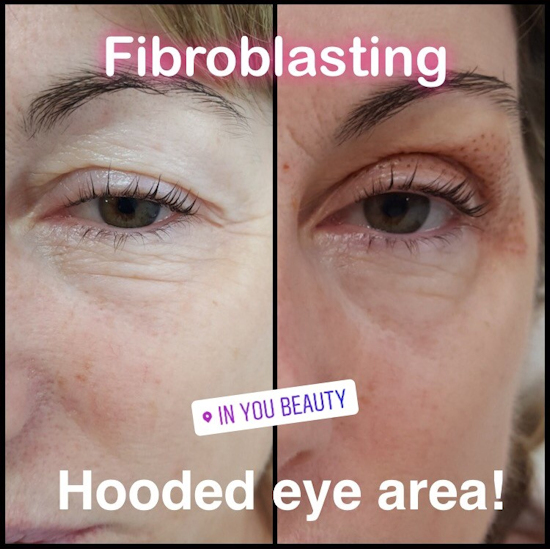 The Plasma Fibroblasting Treatment is a revolutionary method designed to implement facial rejuvenation. 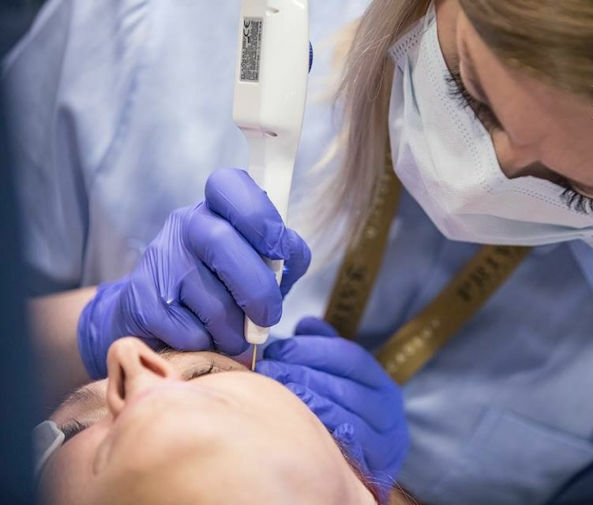 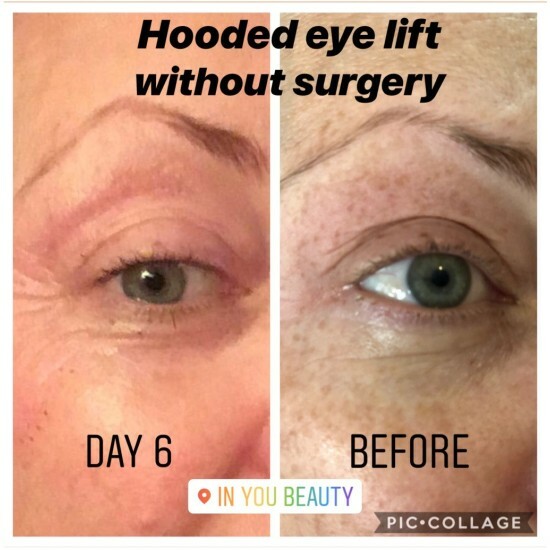 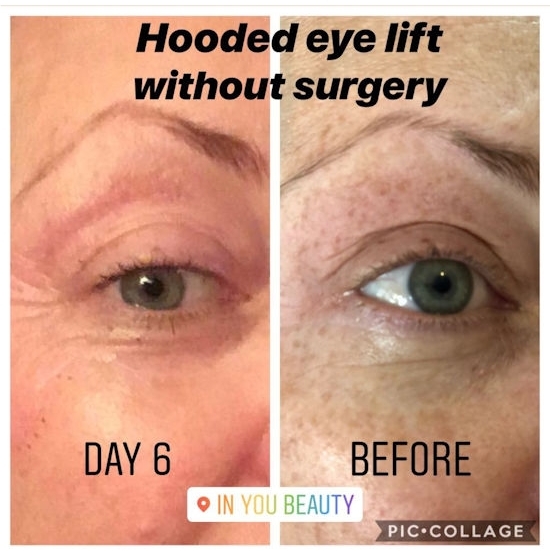 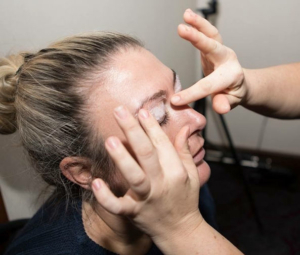 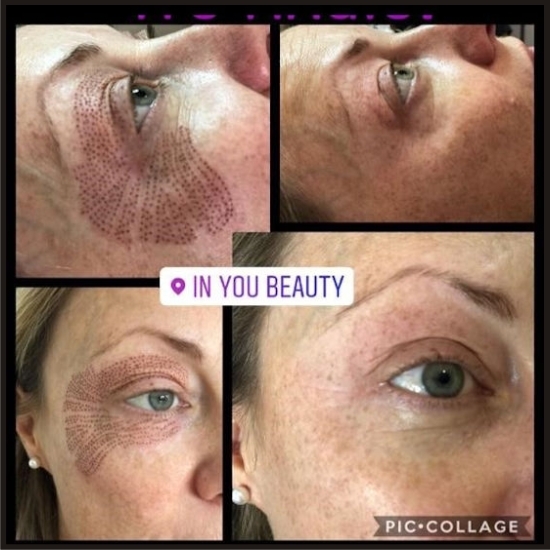 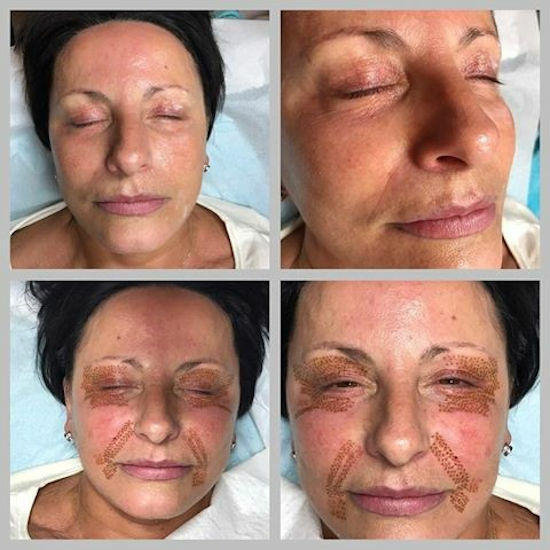 This technique is a NON-INVASIVE treatment, whereby no surgical instruments are being used during this procedure. 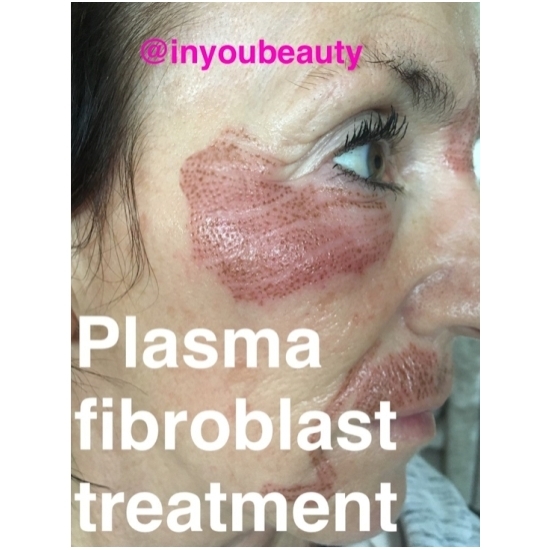 Plasma is a very responsive treatment that indeed is highly effective with minimum pain, healing and recovery time. 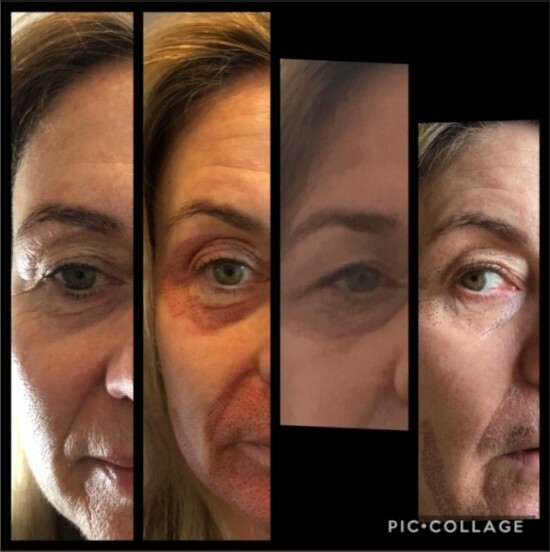 Unlike conventional surgery which carries many consequences such as (anaesthesia, seam swelling, long term recovery time, complications and great expense). 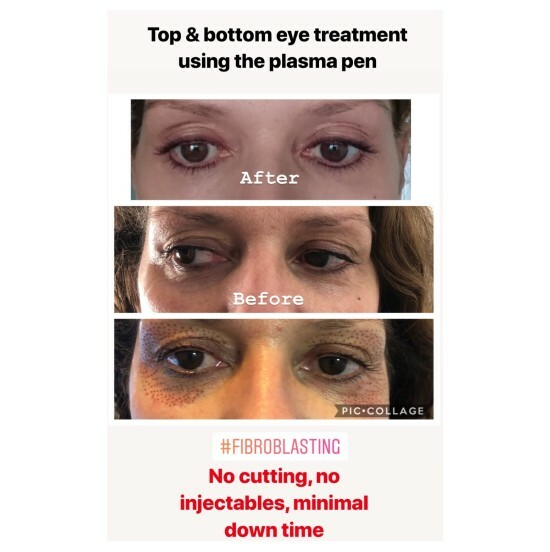 What is Plasma and How does it work? 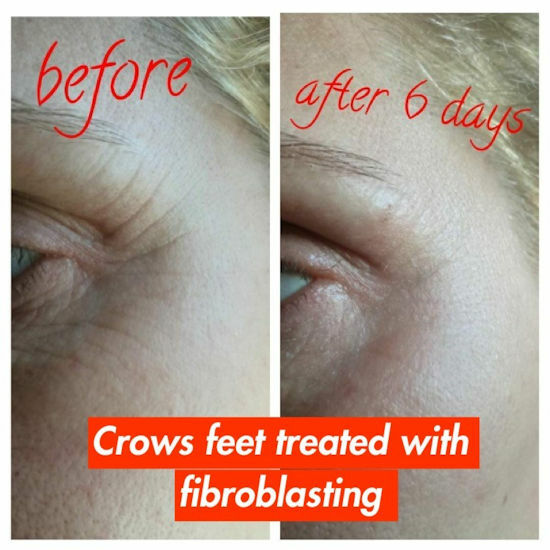 The Plasma Fibroblasting treatment uses the fourth state of matter – plasma. 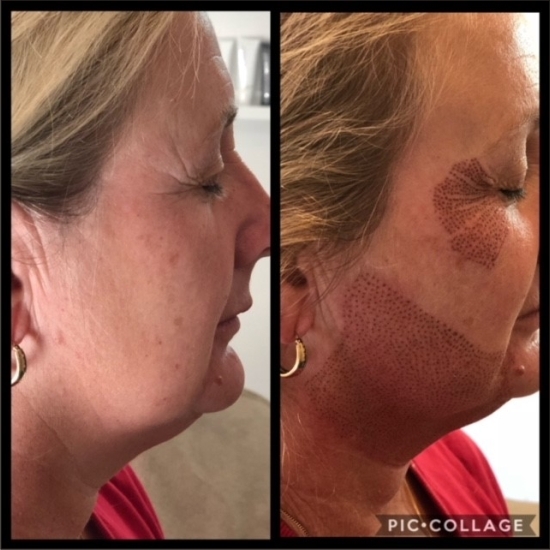 Tissues treated “sublimate” and we avoid spreading unwanted heat to the surrounding areas. 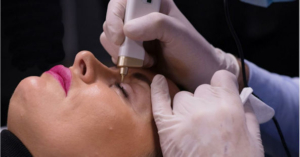 The principle is to ionize gases in the air to create a small electrical arch, similar to a tiny lightning bolt, with which dermal and epidermal areas, which are affected by aesthetic problems, may be treated without spreading unwanted heat to the surrounding areas. 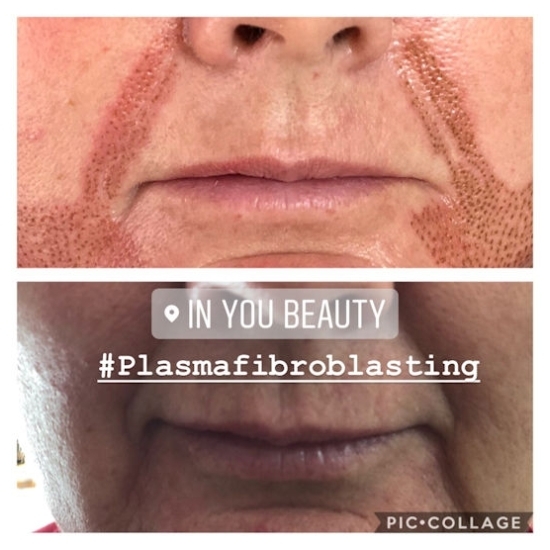 When the electrical arch – plasma – touches the skin surface, the heat widens the acne and is subsequently transferred into the epidermis all the way to the papillary layer which contains fibroblast cells. 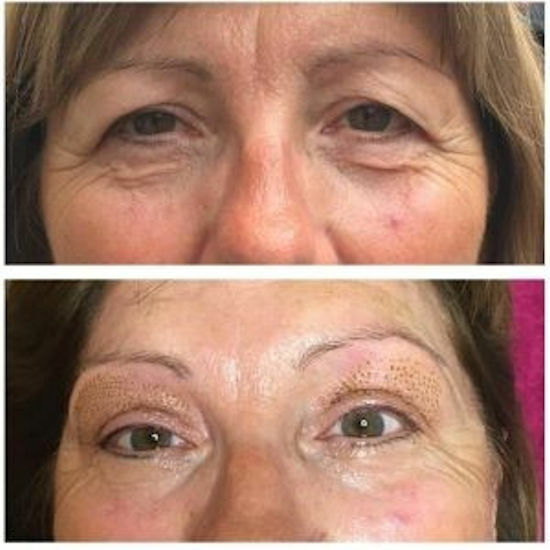 The result is con- traction and tightening of the skin cells. 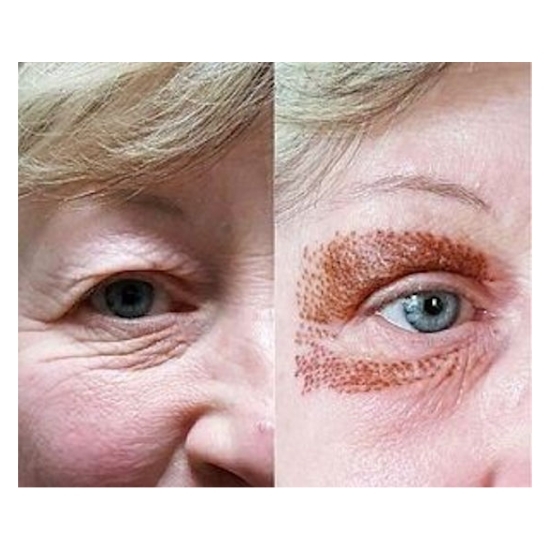 Consequently, the excess skin is reduced and the result is comparable to lift procedures or wrinkle reduction. 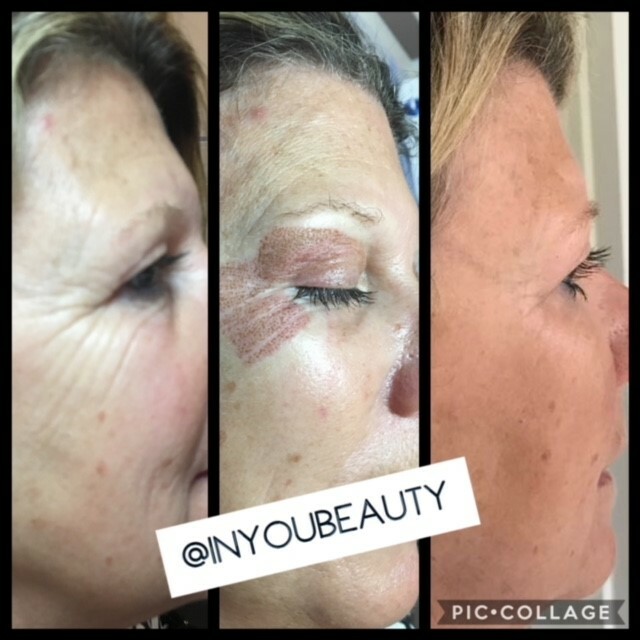 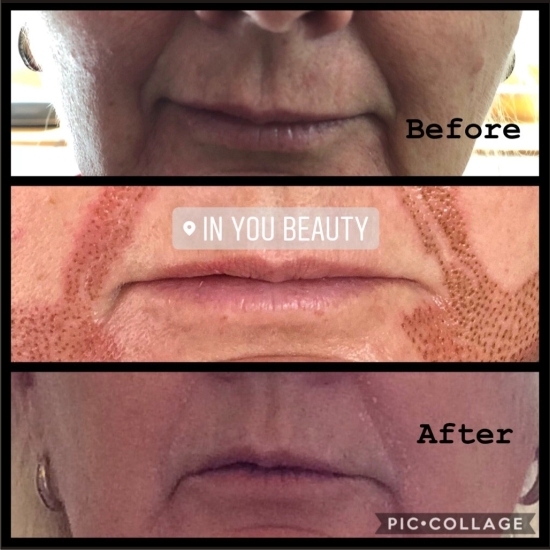 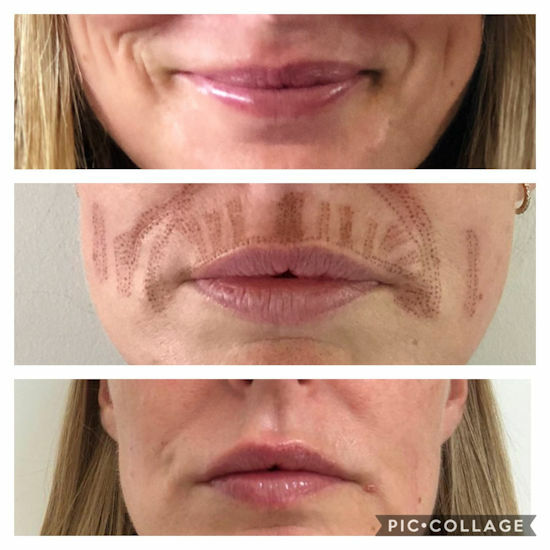 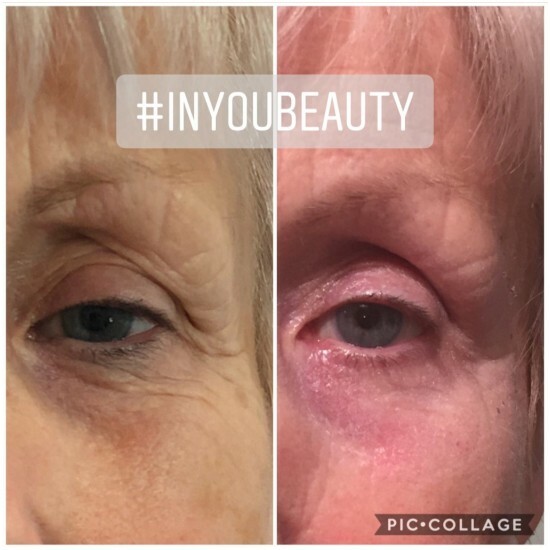 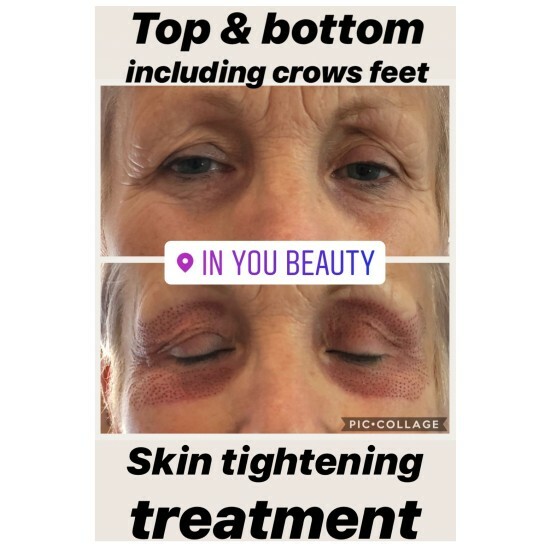 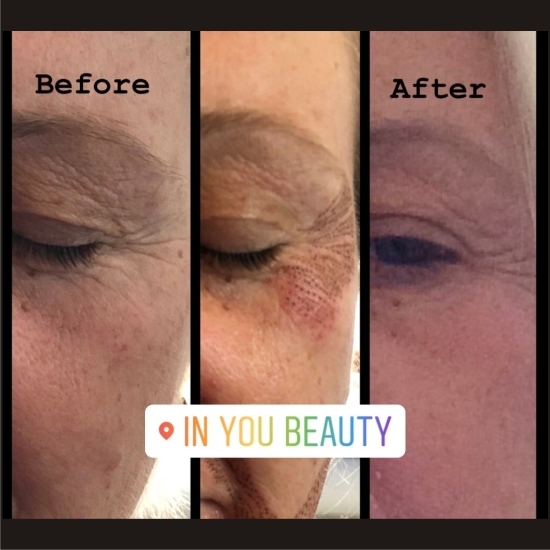 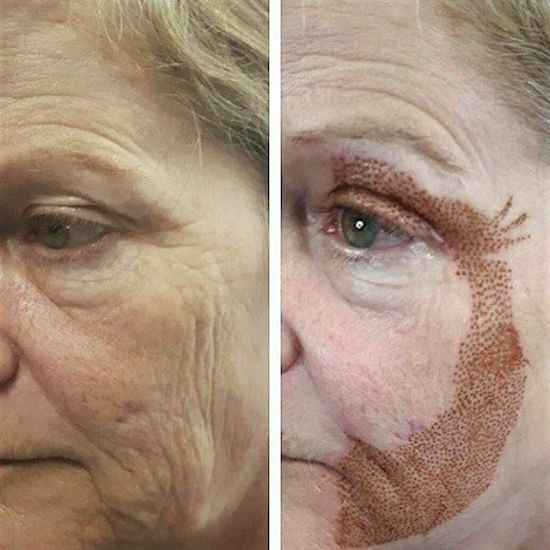 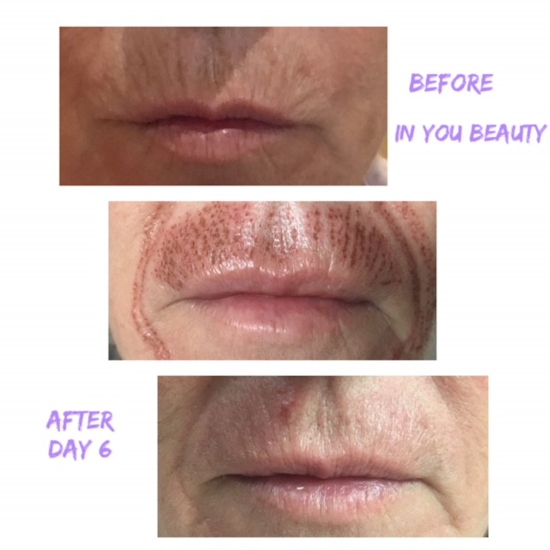 Most, if not all, methods of skin resurfacing are based on creating a controlled skin damage, which activates its healing and this leads to the skin re-modelling and improvement in various signs of aging. 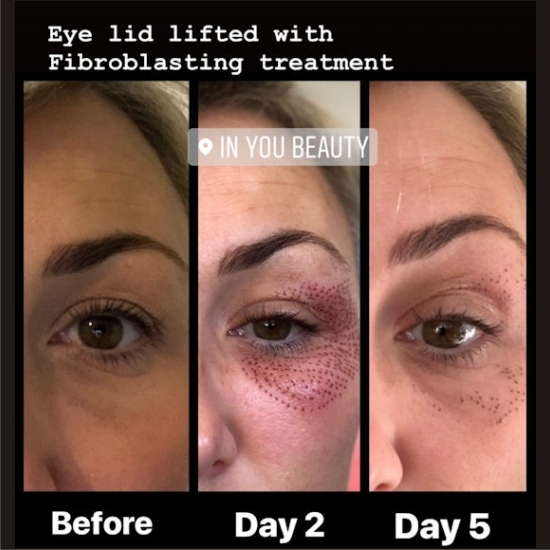 Plasma Fibroblasting Treatment works similarly to an ablative (fractional) laser. 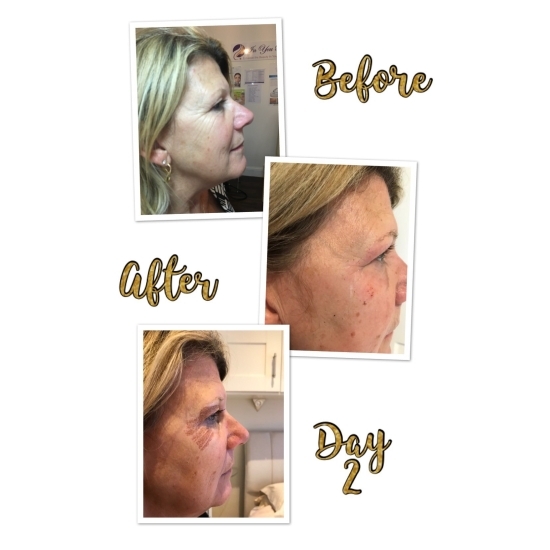 On a minute surface of the skin accurately directed energy damages very specific skin cells to encourage regrowth and renewal. 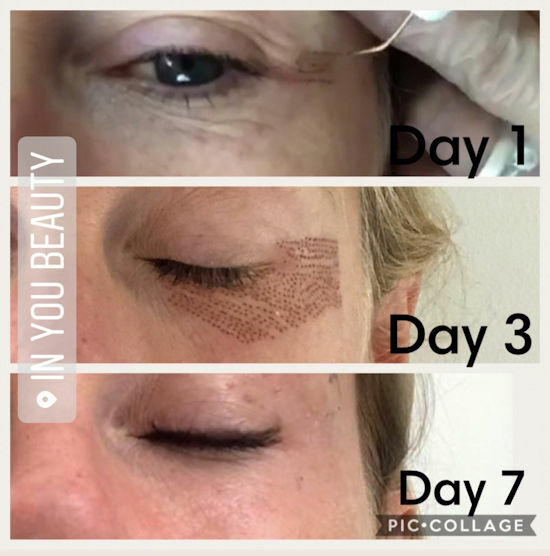 This does not only improve the skin tone and texture, but it can also reduce scarring, improve a number of common skin problems and increase skin contour. 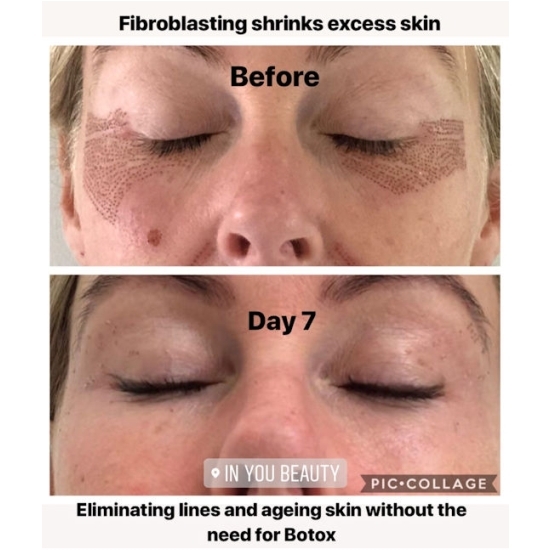 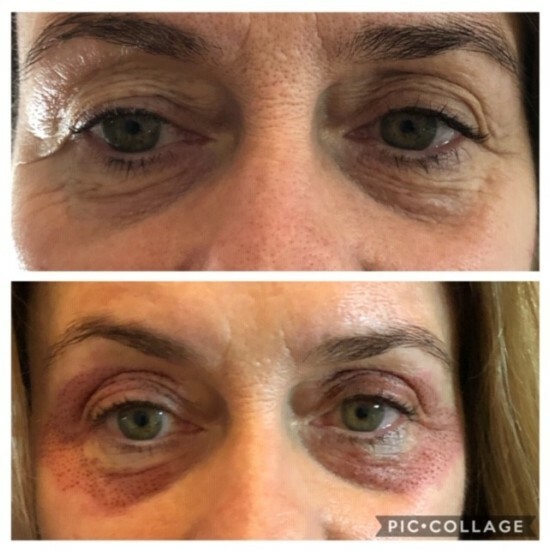 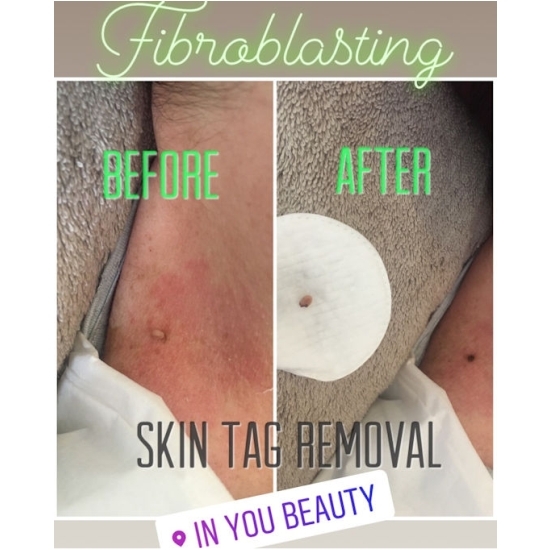 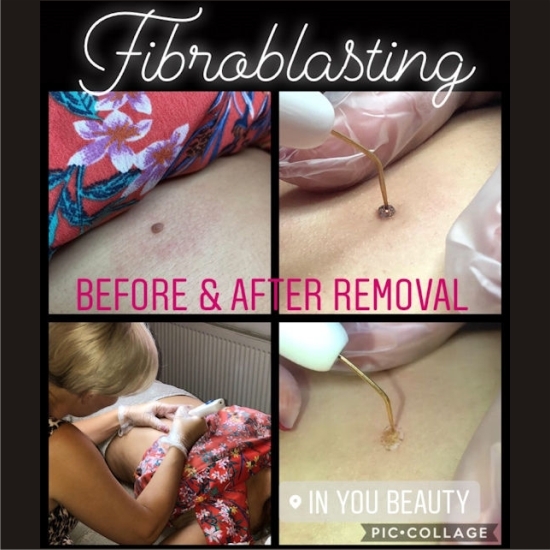 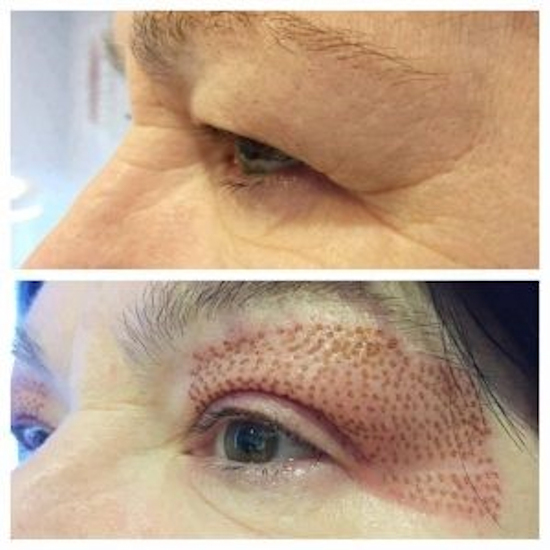 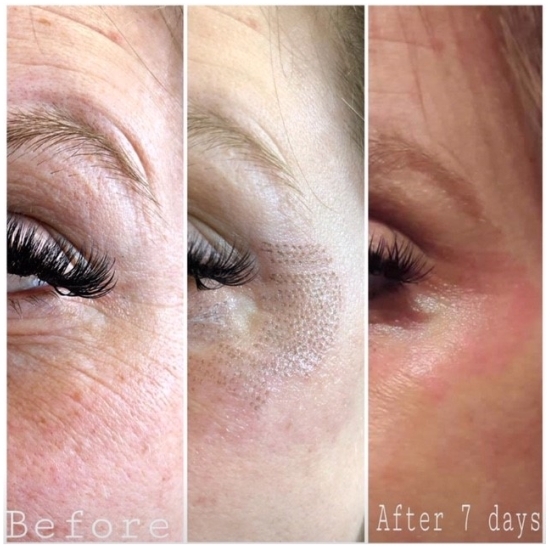 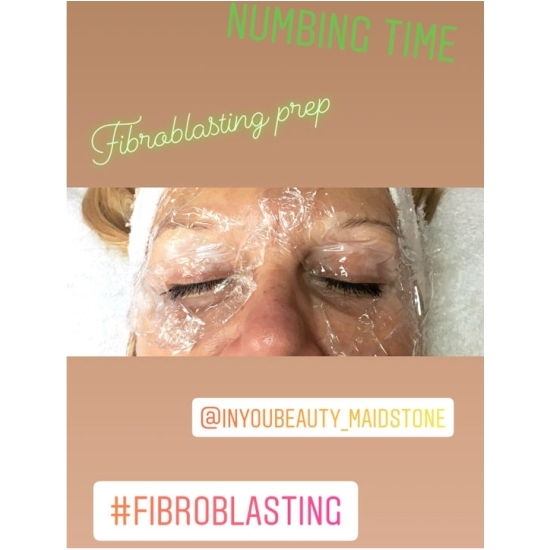 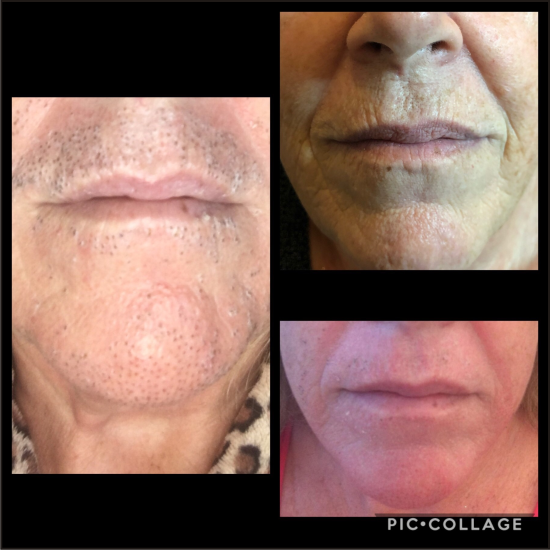 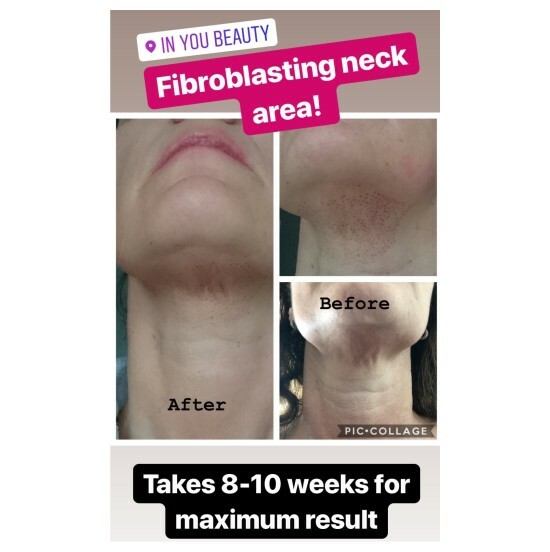 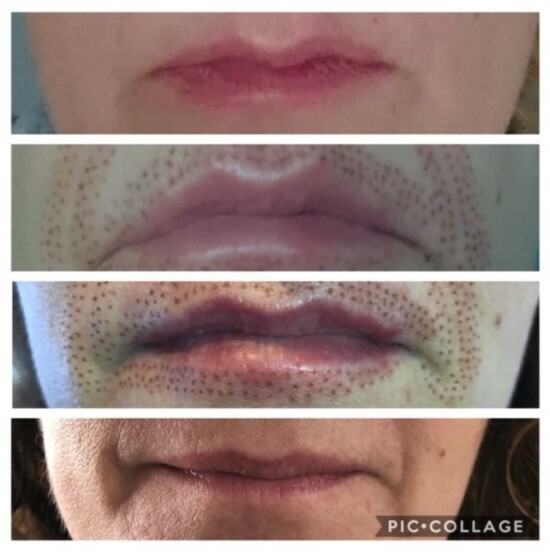 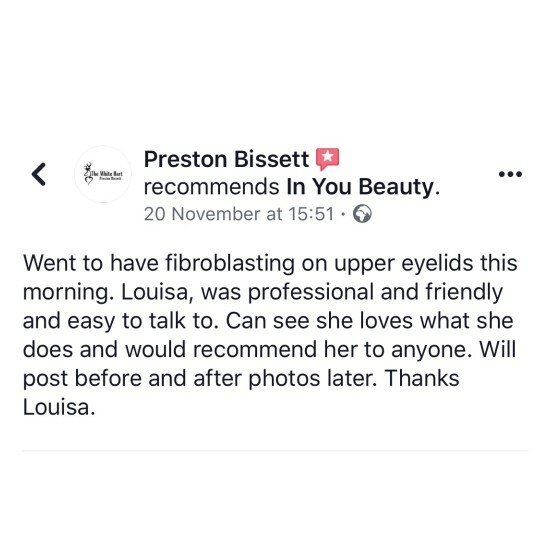 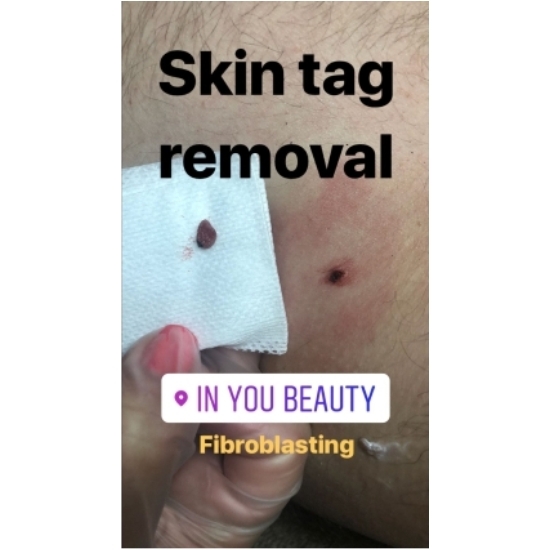 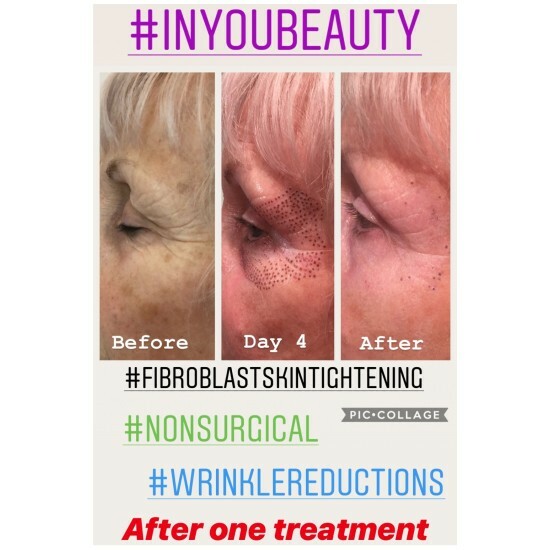 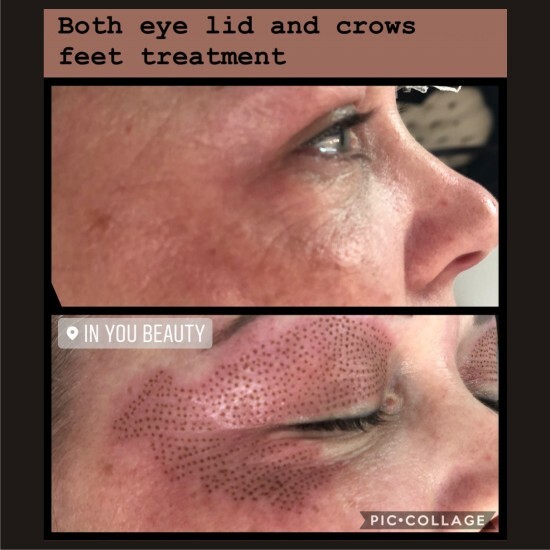 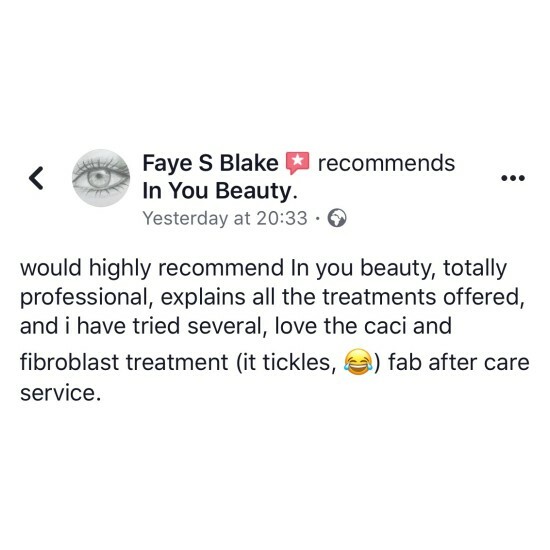 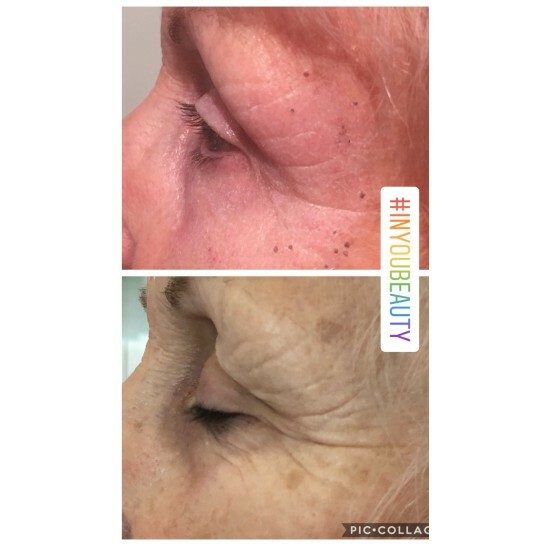 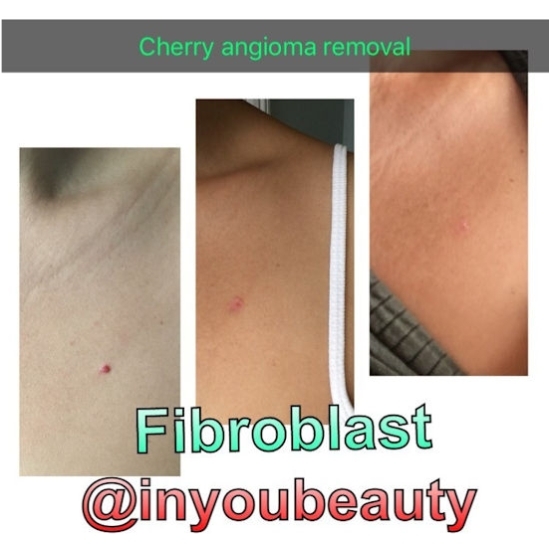 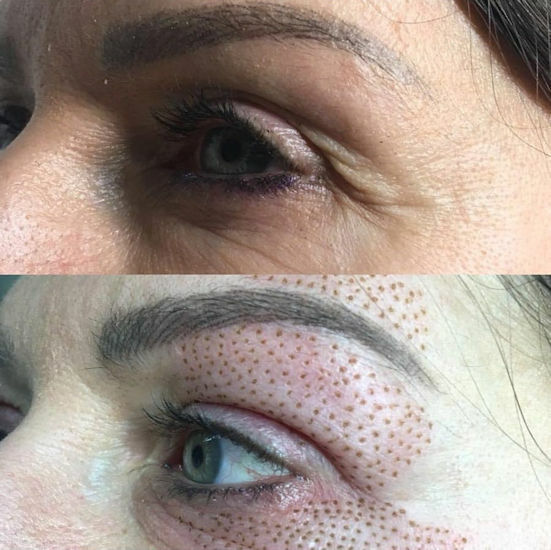 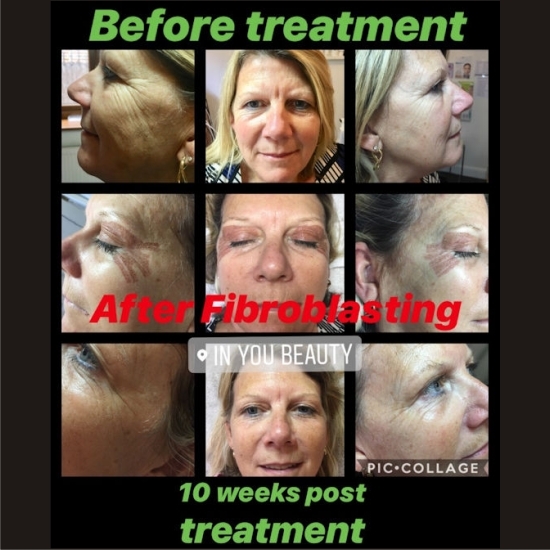 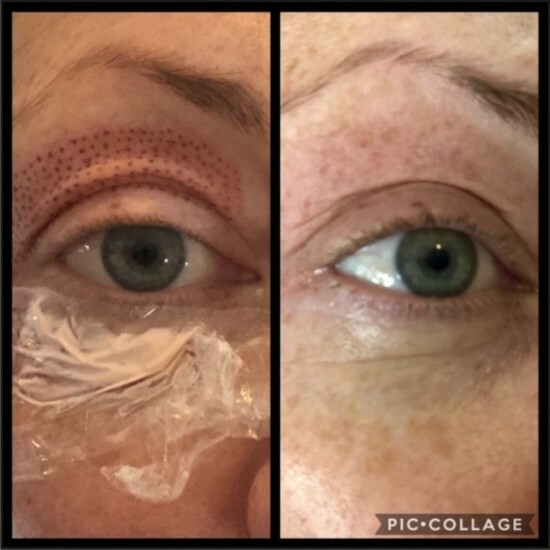 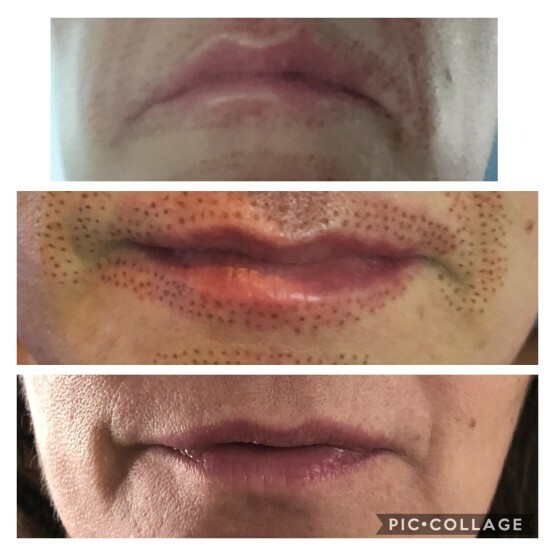 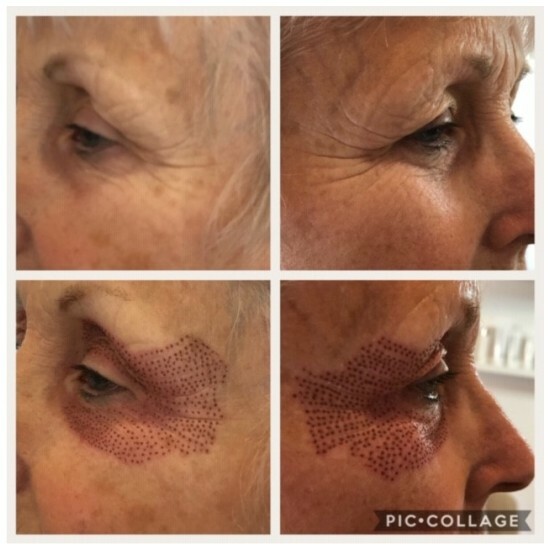 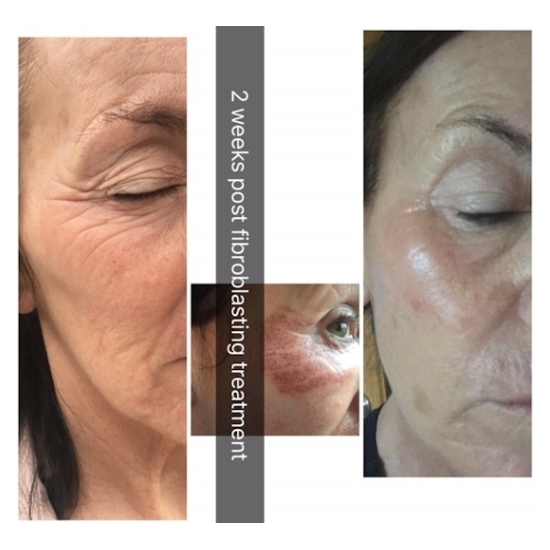 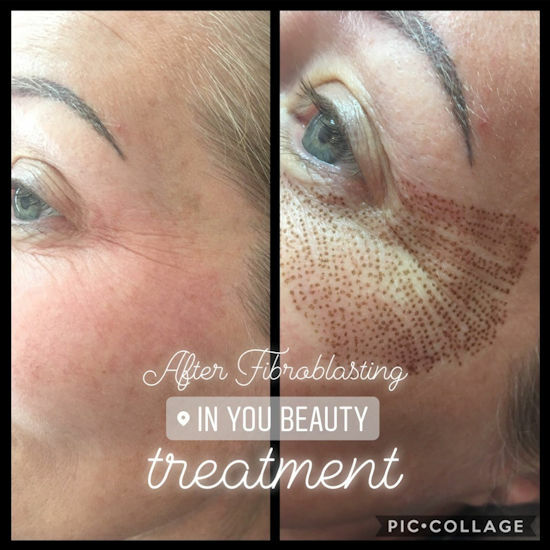 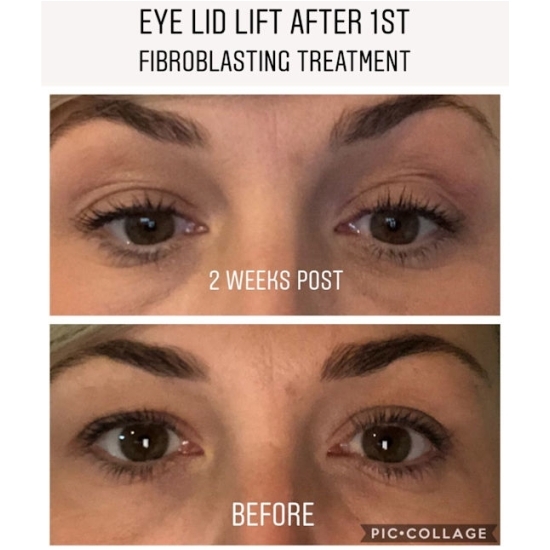 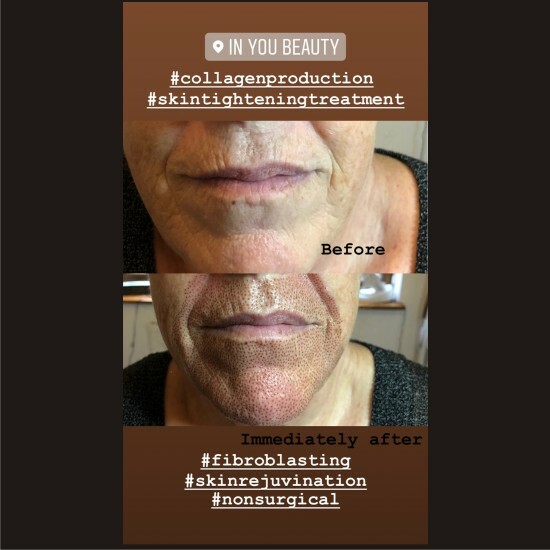 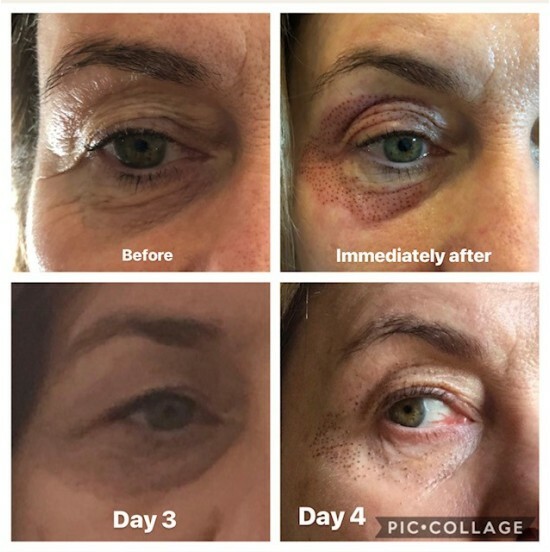 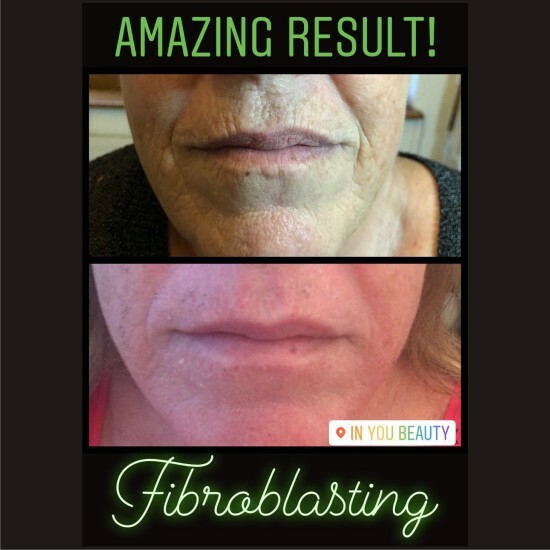 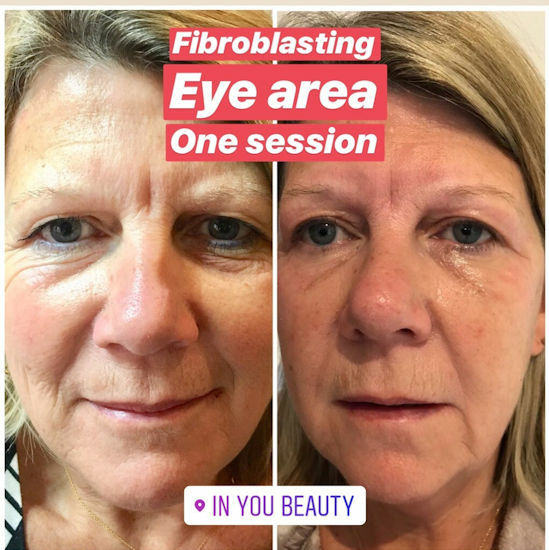 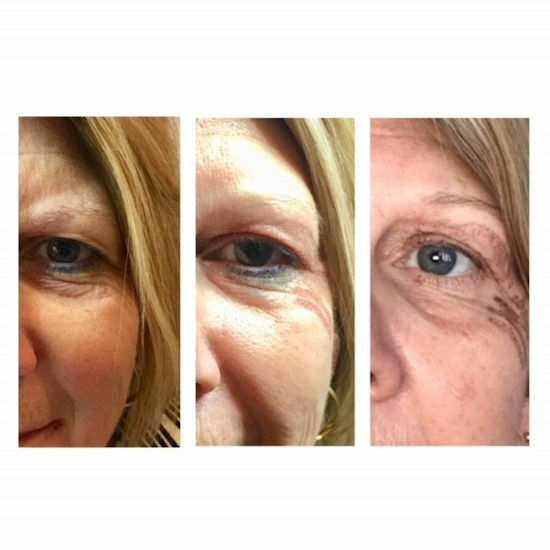 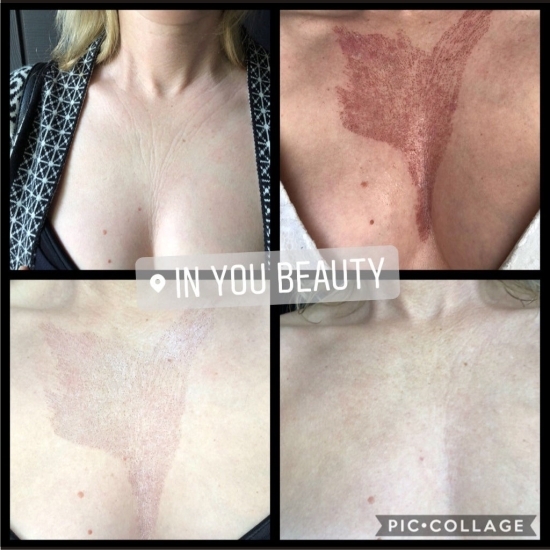 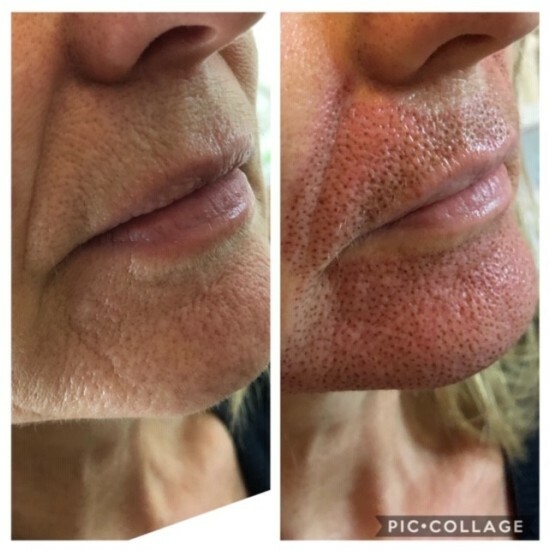 Click on the images below to view before and after photos of clients who have experienced Plasma Fibroblasting.